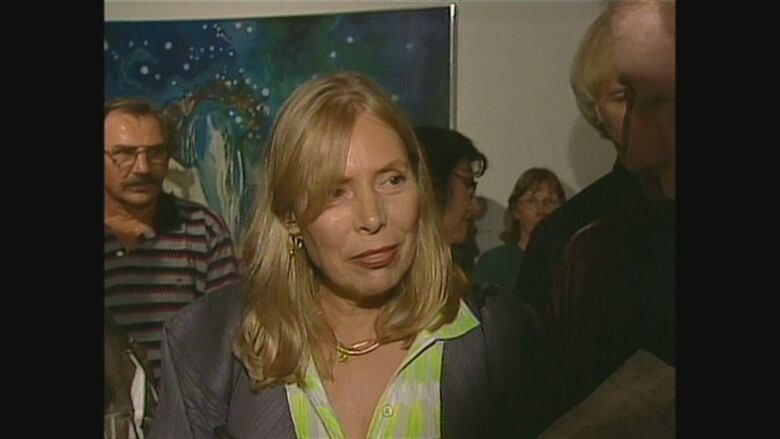 On her 75th birthday, CBC Archives looks back at Joni Mitchell's long career -- and love of visual art. 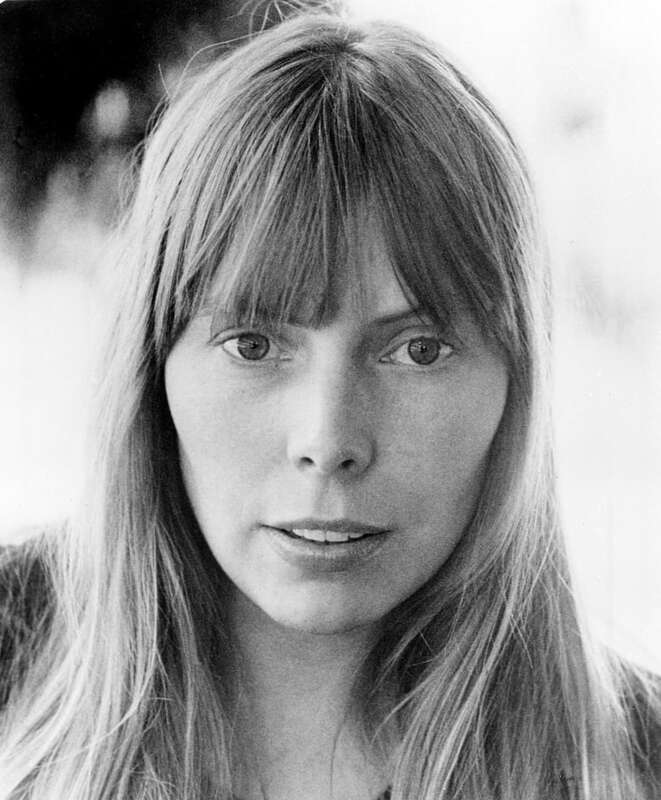 Today, Joni Mitchell celebrates her 75th birthday. 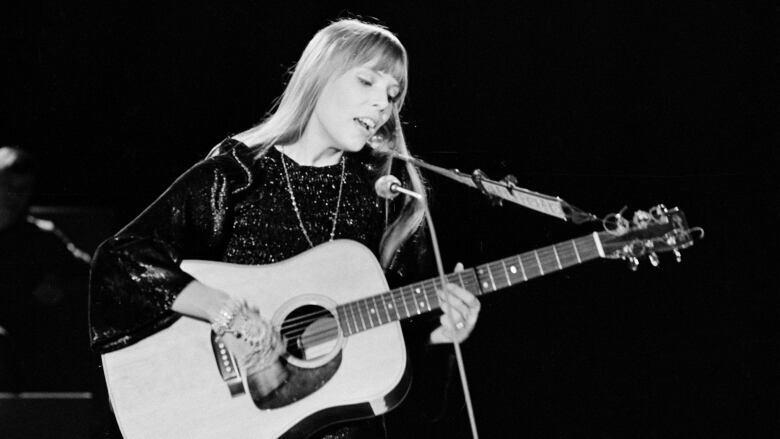 Here, from CBC Archives, is a very early interview with the young singer-songwriter, where she talks about her music, and offers up a game that's a nod to her non-musical artistry. 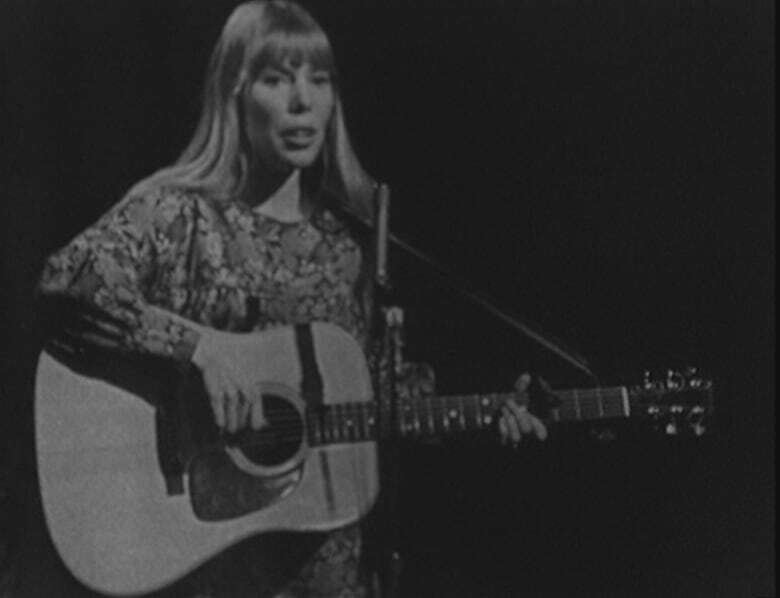 "If you've met her for the first time here, I know you're going to meet her again — hmm, quite a bit during your lifetime," so said Take 30 co-host Paul Soles in 1967, as he introduced singer, songwriter, and artist Joni Mitchell. "You're just starting out sort of, aren't you?" he asked. Mitchell, who was born in Alberta but grew up in Saskatchewan, answered that she had actually been singing professionally for two years. "But I consider that I've only started within the last year ... I'm starting to get my own vocal styling now," Mitchell said. Take 30 co-host Adrienne Clarkson summed up Mitchell's songs with one word — poetic — "because they have a kind of eternity about them." Mitchell, who was living in Detroit at the time, talked about writing songs "that have more and more of a Prairie flavour," because "I find that I've become more Canadian since I've moved to the States, I think maybe you do that." And between performances of some of her own compositions, Soles drew out some of Mitchell's visual talents by inviting her to lead the Take 30 hosts in a game. "Listen, I'm told that you help pass away the time by doing a little drawing," said Soles. "Weren't you an art student?" he asked, presenting her with a pad of paper and a marker. Mitchell explained that this was a game she learned to play with a club owner in Philadelphia, and "you don't have to be artistically inclined at all, but there are rules." The instructions came with a little lesson from the former art student — "now, you understand positive and negative area" — and so the game began in earnest. In the game, Mitchell, Soles and Clarkson each took turns drawing something in the space that was not covered by the previous sketch. 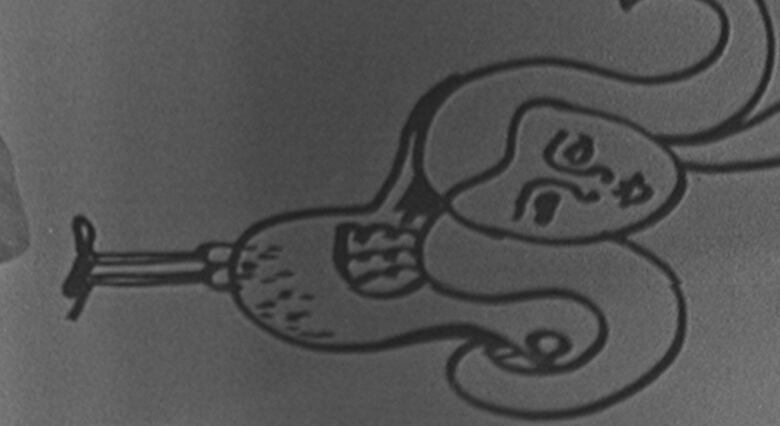 Clarkson took up the pen next, and the picture began to take on an interesting shape, pushing the interview to the side in favour of playing the game. "When is the game over?" asked Soles. "When you feel that you've completed it and you've made a painting," Mitchell answered. Mitchell may have left art school to pursue music, but she never gave up on creating visual art. Some of her paintings have been readily accessible to fans on her album covers — from her 1968 release Song to a Seagull, and through Clouds, Ladies of the Canyon, and Court and Spark, to name just a few. As she told CBC's The National in a February 2000 interview, "I'm a painter, I just kind of lost my way." On July 1, 2000, she returned to her hometown, Saskatoon, bringing the first-ever Canadian exhibit of her paintings and photographs to the Mendel Art Gallery. Her parents, then-premier Roy Romanow, and more than 1,000 fans attended the opening. Reporter Jo Lynn Sheane caught up with one of Mitchell's high school teachers, Bob Hinitt. He knew first-hand the dedication of his former student to her pursuit of art, and he described how she painted an assignment — a picture of Paris. The 16-year-old Mitchell used a sheet of paper that was "30 feet by 15 feet," which was too large to fit onto a wall. "She had to lay it out on the floor ... and to get the perspective she used to climb a ladder, a 16-foot ladder, and look down on it," Hinitt recalled. Years later, Mitchell gave Hinitt a composite of the painting, which he donated to the high school. At a press conference at the opening of the Mendel Gallery exhibit, Mitchell explained her connection to painting, and the correlation between her music and her art. "I steal time to paint, obviously, whenever I can," Mitchell said. "Music, you know, I have the sense to eat and sleep, but painting is really obsessive-compulsive," she added.